Three years ago the government committed to overhauling Ireland’s mental health laws – we’re still waiting. IT IS THREE years since an expert group tasked with reviewing the Mental Health Act 2001 recommended 165 changes to the law. Since then, one change has been made and no updated legislation has been published. Mental Health Reform – a coalition of organisations campaigning for better mental health rights – is now calling time and urging the government to deliver on a promise (made by former Mental Health Minister Kathleen Lynch) to publish a general scheme of a new Mental Health Act. In 2013, TheJournal.ie (with the support of the Mary Raftery Journalism Fund) reported extensively on the shortfalls of mental health laws in Ireland – in particular, about how ‘voluntary’ patients in mental health institutions continue to be detained in hospital without review. This is still the case in 2018. But what is meant by ‘voluntary’? Under the act there are two types of patients – voluntary and involuntary. One of the fundamental flaws within the law is its definitions of these patients and the unequal rights between them. A voluntary patient can be someone who walks into a treatment centre and asks for assistance. They can be deemed voluntary. But a person who is incapacitated, who does not have the ability to make a reasoned decision about their treatment or admission, can also be a voluntary patient. An involuntary patient is someone who is admitted to a mental health unit, and is detained there under the direction of a doctor. These patients have an automatic right to appeal and review their admittance to hospital – while a voluntary patient does not. However progressive the Mental Health Act 2001 was for the time, there are a number of shortcomings – this labelling of patients is one of them. Mental Health Reform’s Ray Burke said many of the same problems highlighted by the expert group still exist in the currently legislation, despite their report being delivered to government years ago. Over 90% of patients admitted to institutions each year are voluntary, but the protections afforded in the 2001 act currently only apply to involuntary patients. You would be mistaken in thinking that a voluntary patient is someone that has walked into a hospital of their own accord seeking help. While some patients are admitted this way, it is not the full picture. The definition of a voluntary patient under the act means “a person receiving care and treatment in an approved centre who is not the subject of an admission order or a renewal order”. While an involuntary patient is defined as a person who has been “involuntarily admitted to an approved centre pursuant to an application under… and detained there on the grounds that he or she is suffering from a mental disorder”. Under the law, an involuntary patient who is admitted against their will has a right to appeal their detention – this right was afforded to involuntary patients following the pivotal Croke V Ireland case. In the early 1980s the person at the centre of the Croke case was diagnosed with a mental illness and admitted to hospital, where he was detained for a number of years without review. He succeeded in taking his case to the European Court of Human Rights (ECHR). Following this landmark judgement, mental health tribunals were set up whereby after a period of 21 days the patient has the right to have their case heard in front of a panel of psychiatrists and legal experts. Unfortunately, this right was not extended to voluntary patients. Why would voluntary patients need a review of their detention: surely they can just leave? This is not always the case. A voluntary patient under the act is simply a person who is in hospital who is not subject to an admission order. In their report the expert group undertook a fairly extensive re-writing of the mental health act and cited this as something that needs to be investigated. Some voluntary patients that are in approved centres lack the capacity to consent to their admission or treatment – yet their status is “voluntary”, not because they consented to be admitted, but because they did not have the capacity to object. The expert group described this group of voluntary patients as the “defacto detained” who are not provided with any rights under the act. Here is former Mental Health Minister Kathleen Lynch talking to TheJournal.ie about the issue back in 2013. She specifically asked the expert group to look at the processes surrounding voluntary and involuntary patients and possible reforms. Burke said his organisation continues to hear of cases where people are impacted by this anomaly. “There continues to be no explicit definition of what a ‘voluntary’ patient is. This can cause a lot of difficulties for people in hospital. There have been cases where people have not be allowed to leave hospital even though they are classified as voluntary patients” said Burke, who said there have been a number of court cases relating to this matter over the years. He highlighted one such case that came before the Court of Appeal this year. 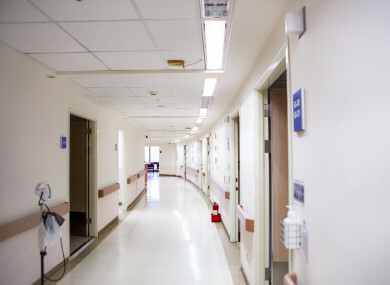 In February, it overturned a High Court ruling that the refusal of medical staff to release a voluntary patient from a psychiatric institution when he expressed to leave was not unlawful. The Medical Times reported that following a psychotic episode at his home in 2011, a voluntary patient was seen by a psychiatrist at a mental health hospital and a care plan devised. The patient remained a voluntary patient for one month and then he expressed a desire to leave the hospital. Section 23 and 24 of the act provides the power to prevent a voluntary patient from leaving and allows for their detainment. These provisions were invoked by the hospital in this case. Section 23 gives the power to the hospital to invoke a short-term detention of a voluntary patient (not exceeding 24 hours) even though they have said they want to leave the hospital. The patient must then be examined by a consultant psychiatrist within the 24-hour period. The patient can then be detained by means of an admission order under section 24 of the Act – but only if doctor’s believe the patient is suffering from a mental disorder. This essentially changes their status to ‘involuntary’. While every time a patient is re-graded from voluntary to involuntary, the Mental Health Commission must be notified, there is no such notification requirement where the “holding power” of Section 23 is invoked. Amnesty International have said that when section 23 of the act is invoked, the MHC should also be informed, so as to address any “inappropriate use of the power”. In the above case, an admission order was signed by the consultant psychiatrist authorising his detention. A renewal order was also signed on the same day authorising the patient’s detention until the end of December 2011. The next day, the doctor revoked the order and stated that the patient was no longer suffering from a “mental disorder” as defined under the act. But the patient was not discharged and remained on a locked ward, reports The Medical Times. The man tried to escape a number of times. The Court of Appeal ruled that the patient’s detention was unlawful, stating that while the hospital staff could try and persuade a patient stay under their care, there must be no restraint. The judge said he was a voluntary patient and therefore free to leave the hospital at a timing he chose. Burke said this is just one of many similar cases Mental Health Reform has come across over the years. “It is causing real concern amongst people who should not feel wary about seeking help. A recent evaluation of involuntary detention commissioned by the Mental Health Commission has shown that some service users feel coerced, disempowered and unsupported when being admitted to a psychiatric inpatient unit and that this had a long-term negative impact on their recovery. “People should feel confident that their rights will be protected when they are in hospital,” he said, adding that this sort of uncertainty should not be hanging over modern mental health services, particularly at a time where there is an ongoing struggle to break the stigma associated with mental health illnesses. Fianna Fáil TD James Browne TD has drafted legislation that will make some small but important changes to the Mental Health Act, said Burke, but he pointed out that it should not be up to opposition parties to chip away at changing the law – that is a matter for government, he said. Browne’s Mental Health Act (Amendment) Bill 2017 has already been passed through the Dáil and is in the final stages of the Seanad. The amendments seek to tackle the issues relating to voluntary and involuntary patients. Psychiatric patients, both voluntary and involuntary, need increased protection. We must remember that in terms of involuntary patients, we are ultimately talking about detaining against their will people who have not committed any crime. He told TheJournal.ie that essentially this is all about the curtailing peoples’ rights. Browne said he has very real concerns for those patients who are currently detained ostensibly as voluntary patients but who are in fact incapacitated, compliant patients. The proposed amendments to the 2001 act amends the definition of a voluntary patient, ensuring that only individuals with the capacity to make their own decisions and to give consent to admission would be treated as voluntary under the 2001 act. Browne has also said moving these amendments is his party’s way of spurring the government into delivering a comprehensive Bill “to address the many concerns of patients in terms of their rights as both patients and human beings, and to bring Ireland in line with the UN Convention on the Rights of Persons with Disabilities” (which the government is due to sign and ratify in a matter of weeks). There is “no sense of urgency from this government… it’s totally disgraceful”, said Browne, who added that there is now a very real risk that the expert group’s extensive review work will have to be repeated because it will soon become outdated with the passing of time. At the very least, a new scoping exercise will have to carried out to update the recommendations, he the Wexford TD. So, when can we expect to see the publication of new mental health legislation which will include the 165 recommendations made by the working group three years ago? Burke believes it is not one of the government’s priorities right now, as the deadline continues to be pushed back. Health Minister Simon Harris said in a parliamentary reply on the issue that “work is ongoing on this comprehensive updating of our mental health legislation” stating that the draft heads are expected to be significantly progressed by end of 2018. After that, there will be extensive consultation with the Mental Health Commission. “There is a full-time resource within the department working entirely on mental health legislation and incorporating the recommendations of the expert group review is a key priority for the Department’s Mental Health Unit. Following a recent staff appointment to the unit, it has been possible to reallocate the workload in the unit so as to allow key staff focus solely on legislation,” said the minister. Minister for State for Mental Health Jim Daly said plans to proceed with the general scheme of a bill has been approved and officials are working on the heads of the amending bill which will legislate for the recommendations of the review. “My department and I accept the importance of advancing this work as quickly as possible,” Daly told TheJournal.ie, who added that “it is a comprehensive legislative undertaking”. By the looks of it, Ireland’s mental health laws, which are currently 17 years old, could be outdated by two decades before we see any fundamental change. Acceptable? Absolutely not, says Burke. Email “'The de facto detained are still there': Voluntary patients still held without review due to delays in law reform”. Feedback on “'The de facto detained are still there': Voluntary patients still held without review due to delays in law reform”.